Starting in 1908 and continuing through 1937, the U.S. Army had an extensive program using blimps to patrol coastlines. This sterling spoon from Boston depicts a huge blimp. It must have been a very impressive sight. 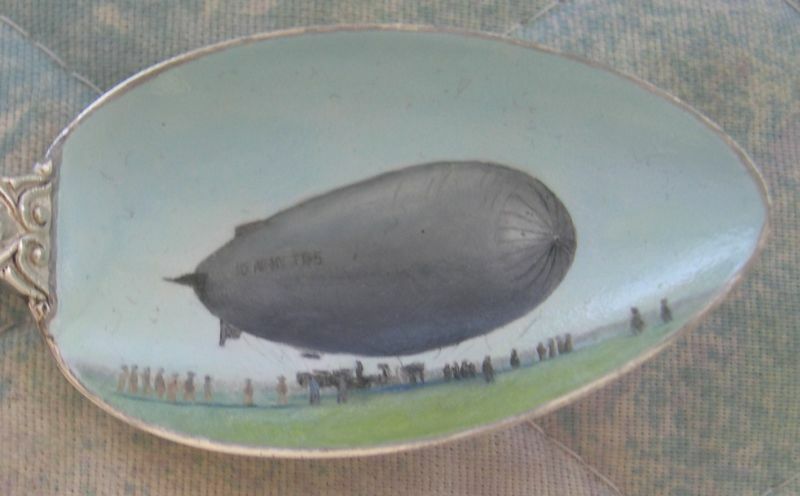 Beautifully painted spoon showing a massive army TD-5 blimp with a landing crew. I found a similar looking picture on the web with this information, but was unable to copy it. Preferred citation: Courtesy of the Boston Public Library, Leslie Jones Collection"